The Bay of Quinte Benevolent Charitable Fund was established in 1973 by Bay of Quinte Lodge No. 620 G.R.C., an entity that amalgamated with St. Alban's Lodge No. 514 G.R.C. 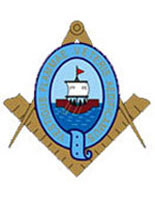 on May 28, 2001 to form Quinte St. Alban's Lodge No. 620 G.R.C. Under the terms of the amalgamation, the name and purpose of the Fund remained unchanged. The Benevolent Charitable Fund is a registered charity, and provides receipts for tax purposes to those who contribute to it. It receives contributions to provide a capital fund, the income from which is distributed, in accordance with government regulations, to registered charities. In recent years it has been able to distribute about $1,000 annually to such organizations as the Salvation Army, the Prostate Cancer Research Foundation and the Foundation Fighting Blindness. For many years it has made a contribution to the charity chosen each year by the District Deputy Grand Master of Toronto Don Valley District. This year it is the Breakfast for Learning program; last year it was the Tony Stacey Home for Veterans, and before that the Toronto Ronald McDonald House.